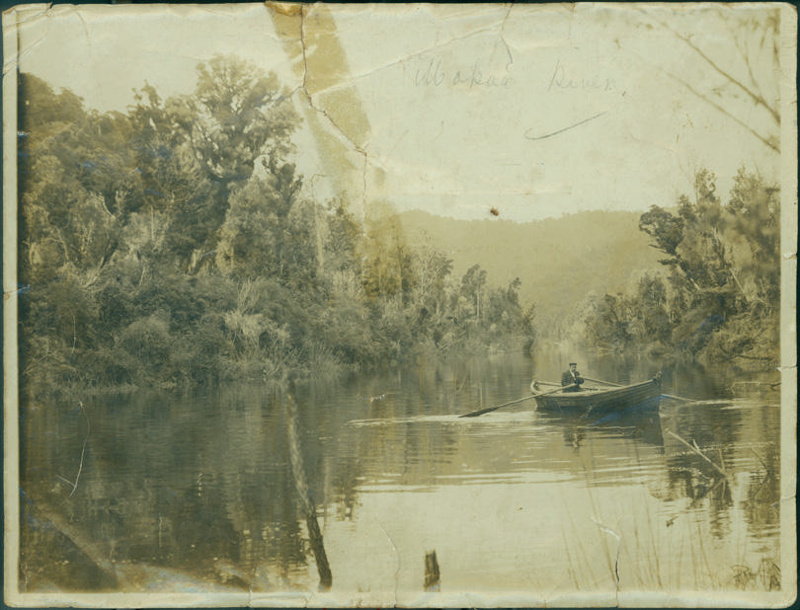 About this objectPhotograph of Captain Jensen in a row boat on the Mokau River. Jensen shown in right foreground. Trees on banks of river take up middle ground. Hills in background.